A new report estimates that nearly half of all U.S. adults have some form of heart or blood vessel disease, a medical milestone that's mostly due to recent guidelines that expanded how many people have high blood pressure. The American Heart Association said Thursday that more than 121 million adults had cardiovascular disease in 2016. Taking out those with only high blood pressure leaves 24 million, or 9 percent of adults, who have other forms of disease such as heart failure or clogged arteries. Measuring the burden of diseases shows areas that need to improve, the heart association's chief science and medical officer, Dr. Mariell Jessup, said in a statement. High blood pressure, which had long been defined as a top reading of at least 140 or a bottom one of 90, dropped to 130 over 80 under guidelines adopted in 2017. It raises the risk for heart attacks, strokes and many other problems, and only about half of those with the condition have it under control. An estimated 300,000 people in the United States are infected with Lyme disease each year. 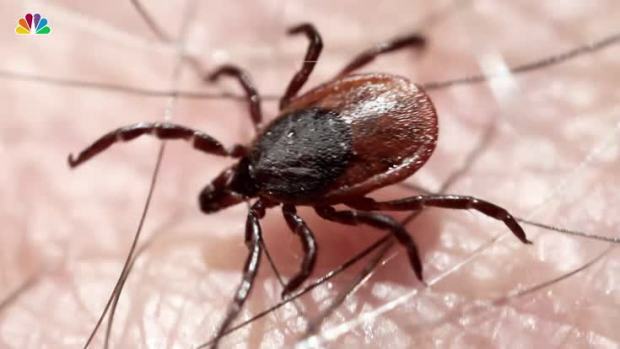 Here are some helpful tips that can help your family prevent tick bites which can reduce your risk of Lyme disease. Being diagnosed with high blood pressure doesn't necessarily mean you need medication right away; the first step is aiming for a healthier lifestyle, even for those who are prescribed medicine. Poor diets, lack of exercise and other bad habits cause 90 percent of high blood pressure. The report is an annual statistics update by the heart association, the National Institutes of Health and others. —Heart and blood vessel disease is linked to 1 of every 3 deaths in the United States and kills more Americans than all forms of cancer and respiratory diseases like pneumonia combined. —Certain groups have higher rates than others; 57 percent of black women and 60 percent of black males. —Coronary heart disease, or clogged or hardened arteries, caused 43 percent of cardiovascular deaths in the U.S., followed by stroke (17 percent), high blood pressure (10 percent) and heart failure (9 percent). The CDC recommends getting a flu shot early during flu season.